Would you like to live a more vibrant, authentic, & connected life? I hold space for transformations. Through ancient practices, I help modern creatives tap into a sacred well of creative potential. Feel into the abundant flow of creative energy within you, with one-on-one coaching. I have traveled the world unearthing ancient practices to help conscious creatives, like you, own your artistic voice and release any creative blocks so that you can live your life like a work of art. 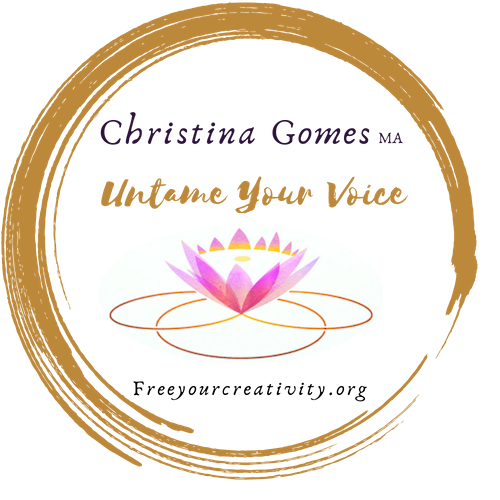 If you have trouble connecting to your voice, speaking your truth, or singing & speaking out loud, our sessions together will unleash the power of your voice. After receiving my masters degree in Clinical Psychology in 2008, I have spent years holding healing space for individuals and groups, and now my virtual doors are open for more in depth healing from anywhere in the world. Book a 30 minute FREE creative consult with me to see if we could be a match for one-on-one coaching. I offer a Transformational Life Coaching Package including 5 – 60 minute sessions with weekly email support. We work over Skype to help you uncover your creative genius & find clarity & purpose in your life. We will work with ancient Yogic and sound healing practices to release stagnant energy helping you become a clear channel for creative energy. I also use modern psychology to uncover the root of creative blockages. Together we will create new healthy habits for you to start feeling more vibrant, more creative, and ready to sing, speak, & write your truth.